Violist Ames Asbell has performed classical, tango, and popular music in over 30 countries around the world, in venues ranging from Carnegie Hall to universities to clubs. She appears on dozens of internationally released CDs, film scores and broadcasts, including the Dixie Chicks’ Grammy-winning Home, Richard Linklater’s arthouse hit film Waking Life (in which she also appears onscreen), and five appearances on PBS television staple Austin City Limits. From 2001 to 2005, she toured globally with rock legend David Byrne (of Talking Heads), appearing with him on broadcasts such as Late Night with Conan O’Brien, The Late Show with David Letterman and Later…with Jools Holland (BBC) as well as on two international DVD releases. After earning the Doctor of Musical Arts degree from University of Texas, Ames put down roots in Austin, where she is currently violist of the classical crossover Tosca String Quartet, Principal Violist of Austin Lyric Opera Orchestra and a member of Austin Symphony Orchestra. She also appears regularly with Victoria Bach Festival and Arizona Musicfest orchestras. 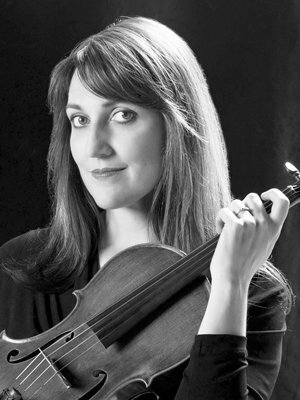 Ames has performed with artists in a wide variety of musical styles, such as Andrea Bocelli, Bernadette Peters, John Cale, Gilberto Gil, Bonnie Raitt, and Harry Connick, Jr. She has played tango music in Argentina, most notably at the Fifth World Tango Summit in Rosario in 2000 with Tosca Tango Orchestra and composer Glover Gill. Her orchestral experience includes the San Antonio Symphony, North Carolina Symphony, and regional orchestras around the state of Texas, and she has also performed on Baroque viola with La Follia Austin Baroque and the St. Cecilia Baroque Festival. She has recorded for labels such as Nonesuch, Harmonia Mundi, Naxos, Sony and Merge, as well as a multitude of smaller and independent labels.